SPANISH IN THE SOUTH – The Spanish-speaking population in the Southeastern US has been growing at an unprecedented rate. This movement has led to major language change issues about the co-existence of English and Spanish in the American South. People from all walks of life contribute to the American story of Spanish and English and its relationship to movement, identity, and community. The narrative formed is both unique to the Southeast and common to language contact situations throughout the world. 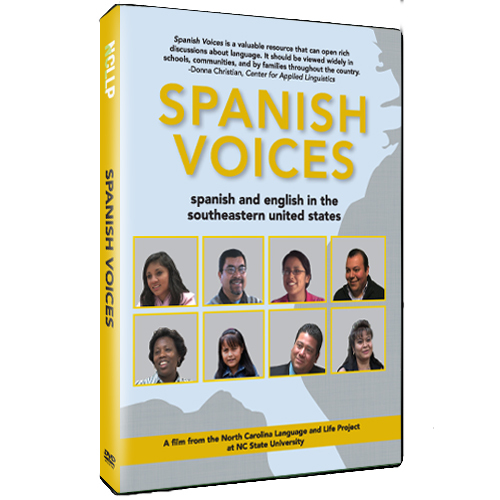 SPANISH VOICES tells the story of those who have participated in this change through interviews with musicians, teachers, students, dancers, immigrants, workers, and long-time residents. This snapshot of life in the south is a valuable resource for anyone learning about language contact.